AR-51A - Rubidium Atomic Clock - RFMW UK, Ltd.
AR51A-05 offers militarized Rubidium Atomic Clocks, which is synchronized to the Global Positioning System (GPS), thereby providing extremely accurate time & frequency. 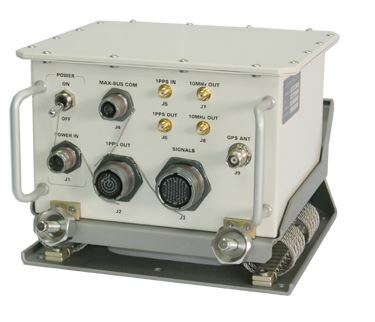 The AR51A-05 incorporates numerous features into a single box, including a Rubidium Standard, an internal GPS receiver a Rubidium-GPS DPLL (disciplining) circuit, time codes, multiple outputs. 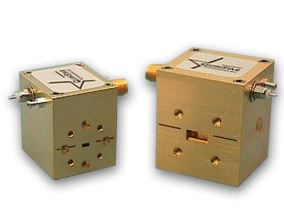 The Rubidium clock is phase locked to the GPS or other external inputs (as a back-up to GPS system). All outputs are derived from the Rubidium clock which maintains time and frequency when GPS or other inputs are interrupted. The AR51A-05 has been fully qualified for operation in harsh stressed environments on ground mobile, airborne, fighter aircraft, Helicopter and ship borne platforms.